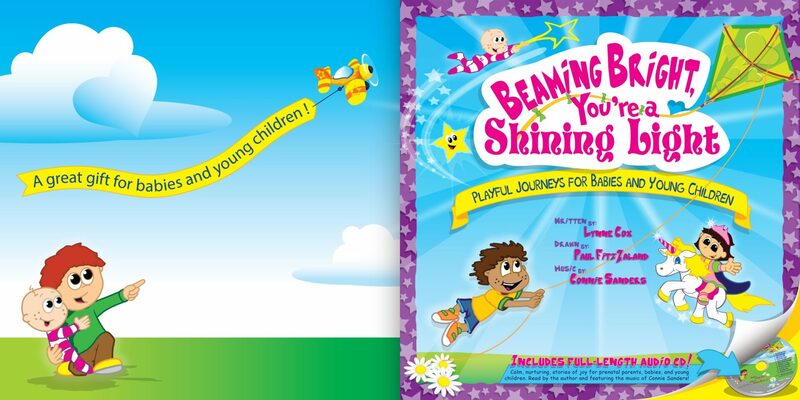 Eleven delightful, interactive stories are written so that babies and young children feel part of every story as they play, giggle, hug and imagine. 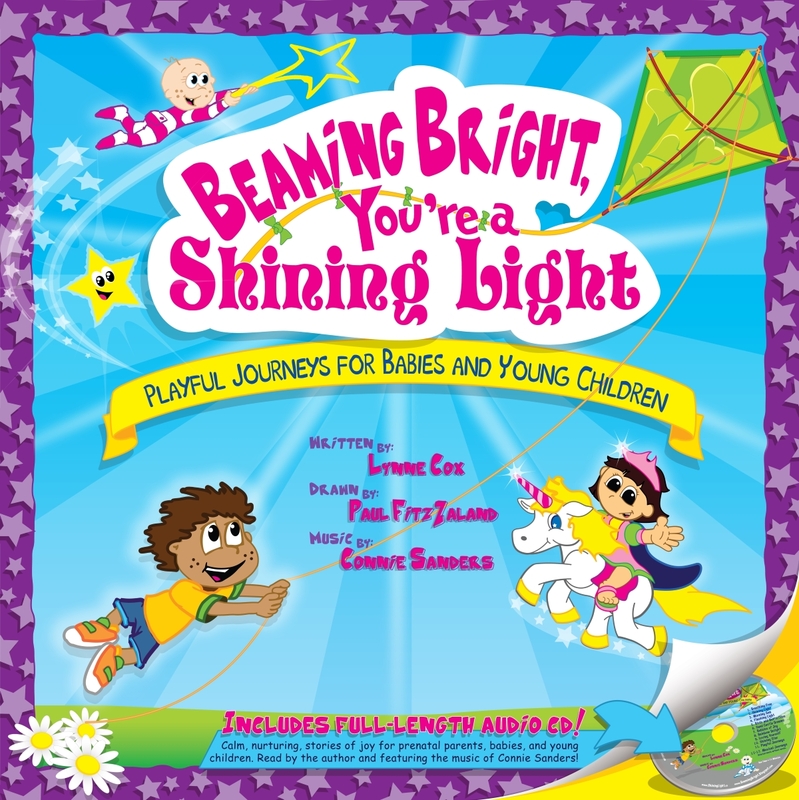 The playful stories inspire babies and young children to feel their precious, lovable nature. 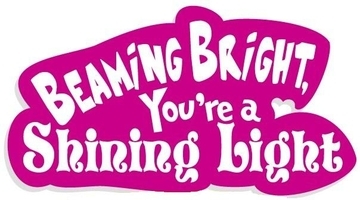 As you look into a child’s eyes and smile while reading the storybook you can create positive, heartfelt moments and feel your connection with them. The verses are designed to plant seeds of wisdom. Your young children will use their breathing to calm themselves, use their imagination to create wishes and dreams and learn to love and appreciate themselves and others. How children feel about themselves from birth to age six will greatly influence their behavior and how they interact with others. As you read the stories have fun telling babies and young children what you enjoy doing with them. As they grow and mature, ask them what they enjoy doing. 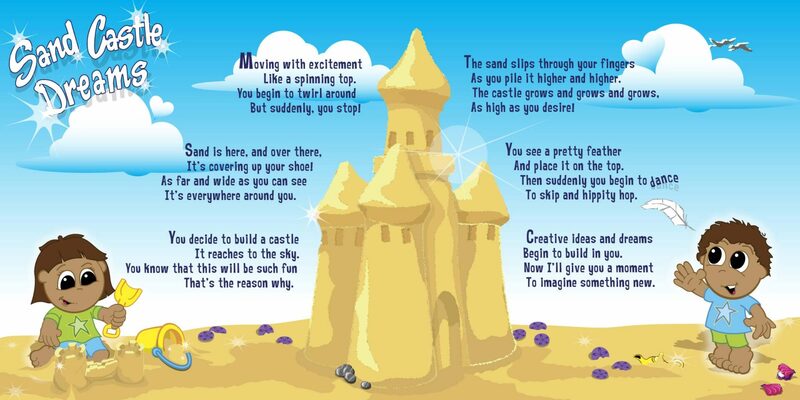 Have fun finding hearts, stars, and the little critters hidden throughout the storybook. Gain a sense of belonging. Appreciate their uniqueness and worthiness. Love and appreciate themselves and others. A great start to any morning routine. A transition from active time to quiet time. Many creative, playful self-discovery moments. The music for babies and young children has a broad listening audience. It was created for prenatal parents, newborn babies, young children and the child within us all. 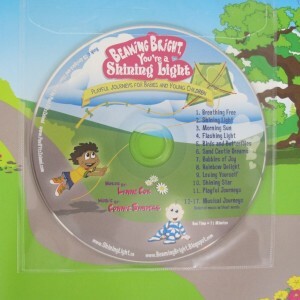 The Beaming Bright, You’re a Shining Light CD calms and soothes children through the use of loving language and calming music. Babies and young children are like sponges. They are constantly listening, observing and learning our language. The words and music create a positive, nurturing environment that offers a great start to any morning. 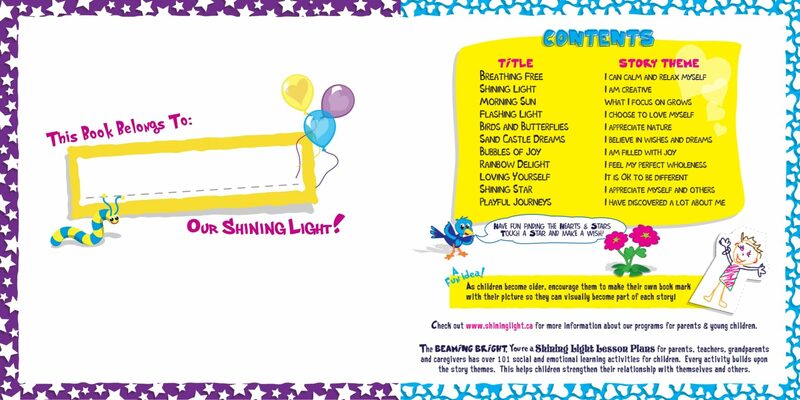 It can be enjoyed during quiet times and is a wonderful addition to any bedtime routine. The music is calming, soothing, and nurturing. Music with warmth and love. The storybook words are spoken slowly so that babies and young children can hear, feel and learn the loving language blended into every verse. Every verse is written in rhyme. Like singing the alphabet, the words are written in rhyme to help children learn the words easily. Music and verses as learning. 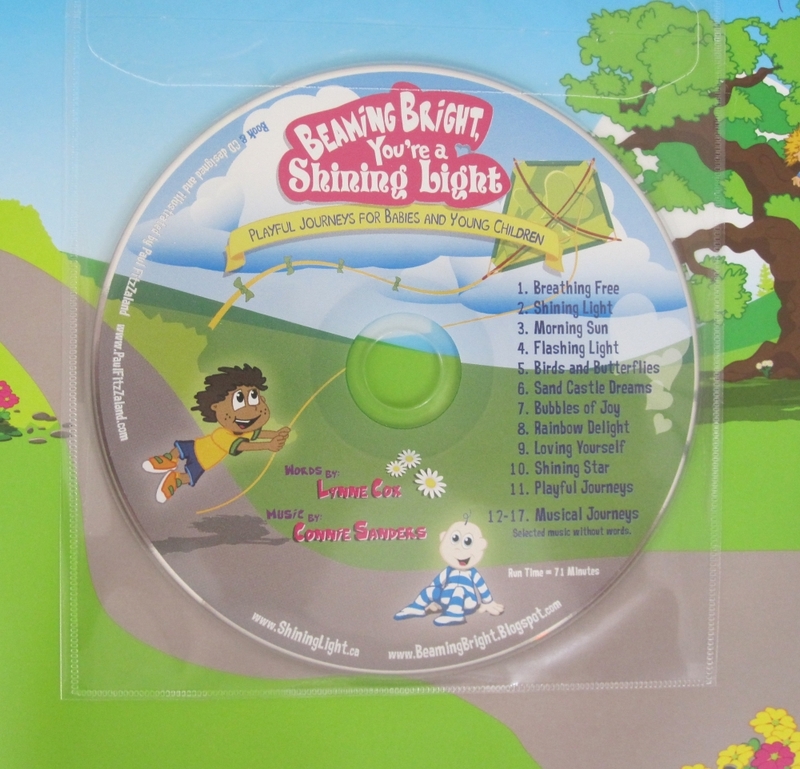 The stories promote early literacy as babies and toddlers listen to the stories on the CD.